Preheat oven to 350ºF. Lightly butter a 2-quart baking dish. Toss sweet potatoes, melted butter and syrup together in the dish. With the back of a wooden spoon, press potatoes into the dish (being careful not to mash). 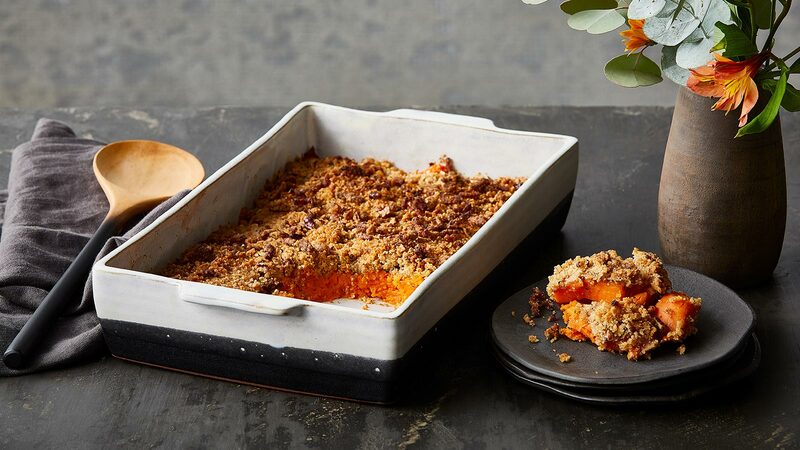 Crumble topping over sweet potatoes with most of the pieces the size of peas. Bake until sweet potatoes are tender and topping is golden brown. Serve immediately.